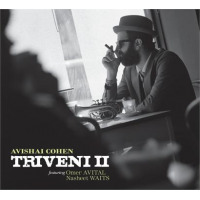 Trumpeter Avishai Cohen had already reached the upper echelons of the jazz world when he put Triveni into motion, but this trio's debutIntroducing Triveni (Anzic Records, 2010)still managed to mark a quantum leap in his artistry. The Israeli-born horn man first made stateside ripples when he placed third in the Thelonious Monk Jazz Trumpet Competition in 1997 and those ripples turned to waves as he became an established presence on the scene. A string of albums in his own name, work with his equally sublime siblings in the 3 Cohens, and a slew of sideman dates helped him climb the ladder of success, but his ascendancy was marked by his arrival as the trumpet heir in the SFJAZZ Collective and the formation of this trio. Triveni, a Sanskrit word that means "the place where three sacred rivers meet," is an accurate descriptor for this bold trio. 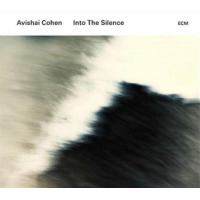 Cohen called on bassist Omer Avital and drummer Nasheet Waits to help him achieve his artistic aims, sans chordal instrument, and he couldn't have asked for two better-suited partners. 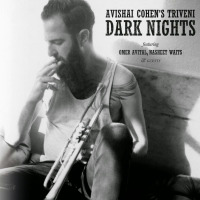 The trumpeter has a longstanding relationship with Avital, which includes their collaborative efforts within Third World Love, while Waits' drum work in triangular settings led by pianists Jason Moran and Fred Hersch has established him as the most important, now-practicing stick wielder in the artistic medium known as the jazz trio. When these three men match wits, barbs and quips, the results are stunning. They demonstrate that a trio can be off-the-wall without veering completely off the tracks ("Safety Land"), and they toy with the idea of musical solid ground forming and failing at a moment's notice. 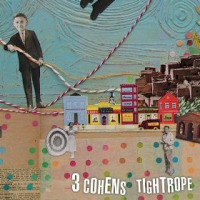 Cohen sneaks in one number with mournful, Hebraic undertones ("November 30th"), but the majority of the music doesn't betray his birthplace; instead, the music simply betrays his love for free spirited travels that marry straight line jazz with post bop and free bop tendencies. He gives a nod to trumpet legend Dizzy Gillespie without trying to imitate the high note king ("Woody 'N' You"), touches on broad- toned beauty with a nod to bassist Charles Mingus ("Portrait") and displays a love for Ornette Coleman by borrowing two numbers from the saxophone maverick's book ("Following The Sound" and "Music News"). While the inclusion of "Willow Weep For Me" might seem odd on paper, it fits in perfectly and proves to be one of the most memorable performances on an album full of them. 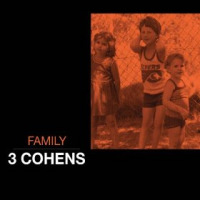 Rather than deliver this one as a soothing balm to heal the fire-borne marks left by earlier numbers, Cohen goes full tilt, trafficking in heady and raunchy melodicism; swagger reigns supreme here, as bubbling, bravado-based lines burst from his bell. Compare-and- contrast discussions that put this album and its predecessor in head-to-head competition may ensue, but these discussions will serve little purpose. Both Triveni dates are triumphant outings; now, it's time for Cohen to buckle down and make another record to complete a Triveni trifecta. Track Listing: Safety Land; BR Story; November 30th; Music News; Willow Weep for Me; Woody n’ You; Portrait; Get Blue; Following the Sound; Art Deco (alternate take). 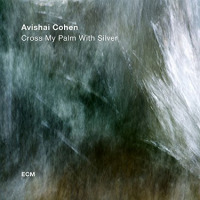 Personnel: Avishai Cohen: trumpet; Omer Avital: bass; Nasheet Waits: drums.